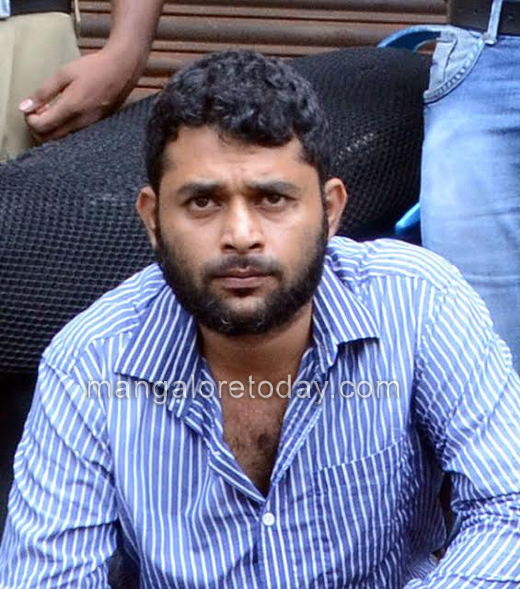 Mangaluru, September 2, 2016: A person named Sauf Mohammed has been arrested by Excise inspector for carrying ganja near Kadri Park on Friday, September 2, 2016. They have seized 950gms of ganja and a two wheeler of the accused. Sauf Mohammed is a resident of Balmatta, Mangaluru. 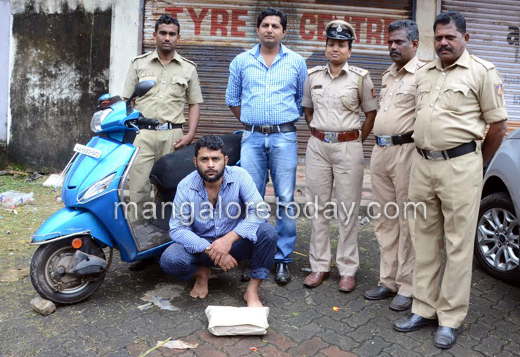 As per the officials, the accused was carrying ganja and was travelling in a two wheeler. Acting on a tip-off the officials caught him near Kadri Park and seized 950gms of ganja in his possession. Sauf Mohammed has been produced in the court. The seized Ganja is valued at Rs. 2,25,000/-. The operation was carried out under the guidance of joint commissioner of Excise Rajendra Prasad and direction of deputy commissioner of Excise Manjunath L., Excise inspector Sunitha, staff Santosh Kumar, Umesh, Sunil Shet and Chaniyappa Naik were present during the operation.